Our Prime Minister Justin Trudeau met Apple CEO Tim Cook at the Fortune Global Forum, currently underway in Guangzhou, China. Both men shared their thoughts about the exchange on Twitter, to the delight of social media. 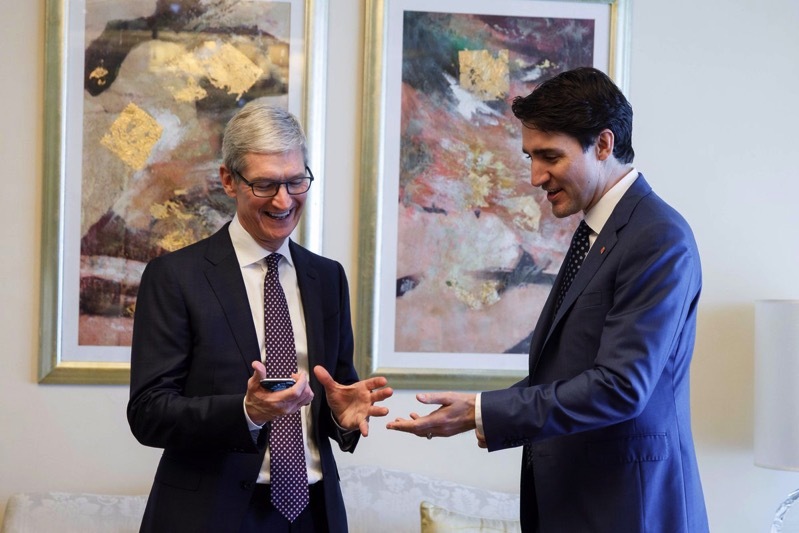 Trudeau tweeted, “Great to meet with Apple’s @tim_cook at the Fortune Global Forum to talk about how we can get more women & girls in STEM and learning to code – thanks for the product demo, too…” We’re assuming Cook showed Trudeau how seamless Face ID was on the iPhone X he’s holding. We know Trudeau loves his Apple products—earlier this year during his nationwide tour in Canada, he was spotted numerous times sporting an Apple Watch. You can bet they also took some incredible selfies with Portrait Lighting effects, while also did some Animoji karaoke, right?